Dr. Orloff presents empowering lectures and workshops on how to cultivate and deepen empathy and intuition to attain total wellness. She synthesizes the pearls of conventional medicine with cutting edge knowledge of intuition, energy, and spirituality to share practical tools that will help the audience achieve physical and emotional healing. Her presentations range from 1 hour lectures to 3 day intensive retreats. Dr. Orloff shows how the future of medicine lies in the integration of technological advances with intuition, empathy and the capacity to overcome negative emotions, the wedding of heart and mind. Dr. Orloff has spoken at hospitals, churches, universities, The American Psychiatric Association, Google-LA, Fortune Magazine’s Successful Women’s Summit, and has a TED talk with over half a million views. To schedule an event contact Dr. Orloff at judith@judithorloff.com. There is a powerful connection between your emotions, intuition, and empathy. The magic comes when you learn how to tap into each of them to fully access your sensitivities without going on overload or becoming drained. Dr. Judith Orloff, a UCLA-trained psychiatrist, NY Times best-selling author and an empath herself, will show you how to awaken your intuition and empathy to enhance your health, work, relationships, resilience as a parent, and emotional & physical well-being. Nurturing your sensitivities yet staying grounded, allows you to model for others how to be sensitive, heart-centered, and strong, a way to positively change your life and the planet. This workshop, based on Dr. Orloff’s new book, The Empath’s Survival Guide: Life Strategies for Sensitive People, will offer practical skills to help everyone, including, healthcare practitioners, increase their empathy and intuition to improve the quality of their lives and clinical practice. Dr. Orloff passionately believes that the future of medicine lies in using intuition to access deeper insight, empathy, and greater wellness. Recommended reading, Orloff: The Empath’s Survival Guide, Essential Tools for Empaths (audio program), Emotional Freedom, and The Power of Surrender Oracle Card Deck. Come and learn a secret about emotions, intuition, and healing. Discover how their compelling interconnection awakens an inner intelligence that can harness the power of positive emotions and dispel the negative. This workshop, based on Dr. Judith Orloff’s NY Times bestseller, Emotional Freedom, synthesizes traditional & intuitive medicine with spirituality to teach you how to transform negative emotions such as depression, anger, worry, and fear into compassion, courage, and hope. Doing this helps you grow and view yourself and others through the lens of the heart. Emotions become a springboard for higher consciousness once you see that each one has a lesson to impart to help you grow. Judith Orloff shows the way that each day presents us with opportunities to be heroes in our own lives: to turn away from negativity, react constructively, and seize command of any situation so that we can lead more empowered, joyous lives. Suggested reading preparation for workshop: Emotional Freedom and Second Sight. There is an infinite amount of intuitive wisdom that we cannot access through logic alone. Many of us have felt it at least once. In the healthcare profession the linear mind plays an essential role in understanding the analytical knowledge specific to diagnosis and treatment. Now, we must invite our nonlinear, intuitive mind to create a complete picture of the person we are trying to help. Judith Orloff MD, a psychiatrist, intuition expert, and author of Guide to Intuitive Healing, shows how to reclaim this intelligence. She passionately believes that the future of medicine lies in using intuition to access deeper insight, empathy, and greater wellness. Too many of us walk around out of touch with our inner voice. What stops us from listening? How can we listen more? Dr. Orloff offers practical techniques to tap into your intuition and act on it to improve the quality of your decisions, health, and life. Join Dr. Orloff as she synthesizes the pearls of traditional medicine with cutting-edge knowledge of intuition, energy, and spirituality. This workshop is for all types of health care practitioners, anyone who works with clients and those who want to ignite their power to self-heal or help others. Apply new clinical skills to access intuition that will augment and improve the quality of your decisions and your client’s treatment. Utilize tools to read and interpret other people’s body language and how it can apply to working with clients. Better understand the dream state and how to use your clients’ dreams to move them from symptom to solution. Identify ways to protect your energy from being depleted and how to stop absorbing your clients’ stress and pain. Deepen your empathy in everyday life and as a healthcare practitioner. Treat and work with highly sensitive and empathic clients. Structure your practice in terms of scheduling and pacing to avoid burnout. Access your own powers of self-healing as well as techniques to help others. This special training for healthcare professionals, all healers (including teachers, clergy, massage therapists, coaches +more! ), and anyone interested in the healing arts will give you the foundational basics of energy healing and a deeper understanding of how to therapeutically harness intuition. There is a powerful connection between your emotions, intuition, and empathy. 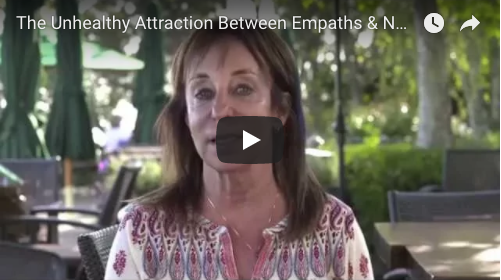 Discover how their compelling interconnection awakens a mindful inner voice that allows you to harness the power of your sensitivities without going on overload or becoming drained. Dr. Judith Orloff, a UCLA-trained psychiatrist, NY Times best-selling author and an empath herself, will show you how to mindfully ignite your intuition and empathy to enhance your health, work, relationships, resilience as a parent, and emotional & physical well-being. Nurturing your sensitivities yet staying grounded, allows you to model for others how to be sensitive, heart-centered, and strong, a way to positively change your life and the planet. This workshop, based on Dr. Orloff’s new book, The Empath’s Survival Guide: Life Strategies for Sensitive People, will offer practical skills to help everyone, including, healthcare practitioners, mindfully increase their empathy and intuition to improve the quality of their lives and clinical practice. Learning to surrender improves your health, increases your passion, and strengthens the connection to your “divine body.” Surrender is not associated with loss or defeat —it can make you more powerful. Too many people walk around as disembodied heads, forgetting they even have a body. Our world puts a premium on the ability to tough out adversity. We celebrate people who ignore their bodies’ danger signals in order to achieve. Intuitive psychiatrist, Judith Orloff, MD author of the national bestseller, The Ecstasy of Surrender teaches you how to awaken your senses: sound, touch, smell, taste, and the sixth sense, intuition. You will learn how to stop over-thinking so you don’t spoil pleasure. Surrendering to passion brings ongoing vibrance, renewal, and charisma at every age. It is the antidote to stress in a world that conspires to interrupt creative thought. Intuition is an incredible source of wisdom that everyone can tap into. The magic comes in awakening it and trusting its guidance in our lives. Judith Orloff MD, a psychiatrist, intuition expert, and author of Second Sight, shows how to reclaim this intelligence. She passionately believes that the future of medicine lies in using intuition to access deeper insight, empathy, and greater wellness. Too many of us walk around out of touch with our inner voice. What stops us from listening? How can we listen more? Dr. Orloff offers practical techniques to tap into medical intuition and act on it to improve the quality of your decisions, health, and life. Suggested reading preparation for workshop: Second Sight and Dr. Judith Orloff’s Guide to Intuitive Healing. We all have intuitive gifts. The magic comes in awakening them and trusting their guidance in our lives. In this experiential workshop, Dr. Orloff shares her journey from being an intuitive child – alone with abilities she did not understand – to becoming a respected psychiatrist who uses intuition as an indispensable tool in her medical practice and life. Dr. Orloff will teach participants to develop their own natural intuitive abilities, with the focus on recognizing synchronicities, deja vu, intuitive empathy, “body knowings,” guidance dreams, and other everyday intuitive experiences. By learning to trust their intuition, participants will come to believe in themselves more strongly, make truly informed decisions, and connect intimately with their spirituality and the world. It is imperative that the trend of modern healthcare shift–intuition and a patient’s spiritual beliefs must be intimately merged into patient care. Dr. Orloff, an Assistant Clinical Professor of Psychiatry at UCLA and author of the New York Times bestseller Emotional Freedom, positions both intuition and spirituality as cornerstones of her psychiatric practice. In this lecture, Dr. Orloff will define intuition and present techniques for physicians, health care providers, clergy and patients to use it for greater insight in the therapeutic situation. She will present case histories of her patients who have benefited from awakening their intuition. She will further outline ways this approach can compliment psychotherapy, medication and traditional psychotherapeutic methods. Increase sales and productivity and improve your job performance by learning to use the secret weapon that Oprah Winfrey and Steve Jobs have called the key to success. The art of reading people involves listening to intuition and gut feelings along with logic and common sense. It’s vital to learn to read people whether it’s with your spouse, employees, boss, or if you’re managing a business. Then you can see beyond the obvious to reveal someone’s true motivations, signs of lying, and understand how to reach even difficult people. We’ll discuss practical techniques to do this and also identify what gets in the way of reading people such as expectations, mental chatter, and judgment. You’ll master how to quiet your mind and become neutral so you can clearly size up situations. You’ll also discover the importance of empathy and setting clear boundaries for healthier relationships. Read body language–eye contact, posture, body movements and more. Listen to your intuition–gut feelings, ah-ha moments, flashes of insight, intuitive empathy. Read emotional energy–understand what people are really feeling, not just how they appear. Intuitive visualization—a simple and easy intuitive technique to read people that everyone can learn. Using these skills in business, with co-workers or with friends and family will improve the level of communication and understanding in your life. To increase productivity, improve employee performance, and enhance your company’s overall success it is important to have excellent communication skills when dealing with coworkers, management, and customers/clients. Some people at work are positive and energizing. Others are negative, depleting, and stressful. Anyone who has ever shared an office, attended a business meeting, or dealt with negative people knows how exhausting it can be. This lecture/workshop will help you identify draining people and learn how to effectively deal with them. As a result, your employee relationships will be more empowered and stress-free in the workplace. How to identify difficult people. What are the signs you’re being sapped? How to deal with different types of draining people such as The Victim, The Narcissist, The Chronic Talker, the Gossip, and the Drama Queen. How to set clear limits and boundaries in a positive way. How to communicate with an empowered tone and attitude when dealing with a difficult person. How to develop positive, healthy relationships and resolve conflicts at work.